Is a RM3,500 minimum monthly wage for skilled Malaysian workers something impossible? Two Syeds from Pakatan seem to think so and have protested via their Twitter and blog. I really don't know what their problem is. Instead of standing in the way, these Syeds should have welcomed Deputy Prime Minister Zahid Hamidi's proposal. For the sake of these workers, they should even volunteer to assist in any way. 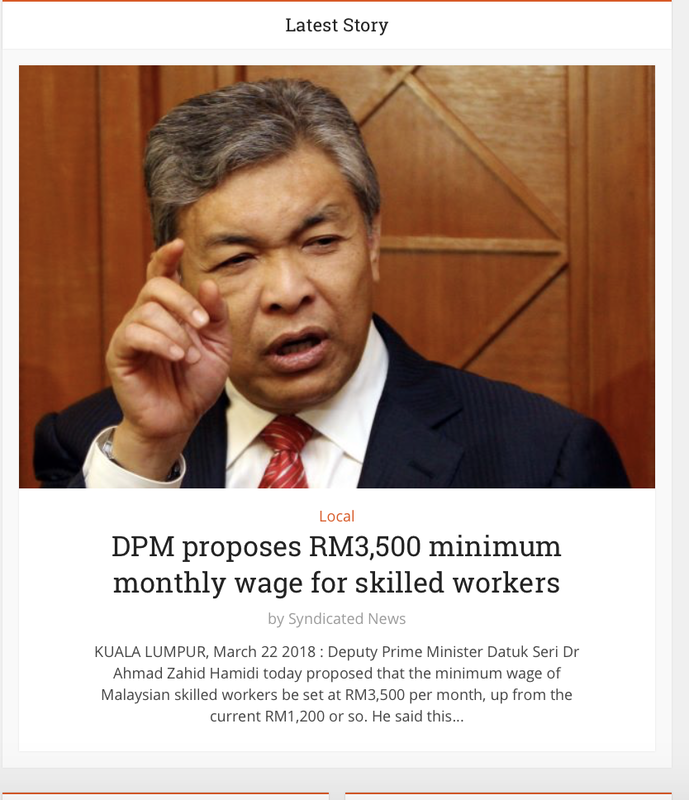 Should it turn out that RM3,500 as a minimum wage for skilled workers (and RM5,000 by 2030) is NOT doable at all, they can start poking fun at Zahid. And demand his resignation. But I have a feeling the DPM has done his homework. He seems so sure of the idea that he's even asked the relevant ministry to establish a Technical and Vocational Education Training (TVET) Council and recruit him as its Chairman. “I am offering myself to chair and coordinate the TVET Council as I wish to promote the development of TVET, including the push for higher minimum wage. The current minimum pay for skilled workers in Malaysia is RM1,200. Foreign skilled workers in Malaysia are guaranteed a minimum salary of RM3,500 a month. Syed sorang tu sibukkan gaji pekerja kedai emas dia meningkat. Kalau blh keling tu nak kasi gaji tahun 80an pada rm350 sebulan. Budak dadah lagi byk duit utk berdengong. 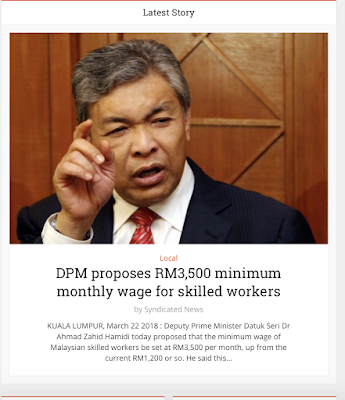 If you want, I can copy-paste what the other Syed wrote about RM3500 minimun wages for Skill-workers, including the latest on Friday, March 23, 2018, titled 'Populist Policies That Are Killing Off Business'. If they propose to implement something, that's OK. If government proposes to implement same or similar thing they oppose. I guess they take being an opposition party very literally - i.e. an opposition party's job there to oppose.